Intense ruby ​​red wine. The smell of blackberry, red orange and violet is perceived on the nose. 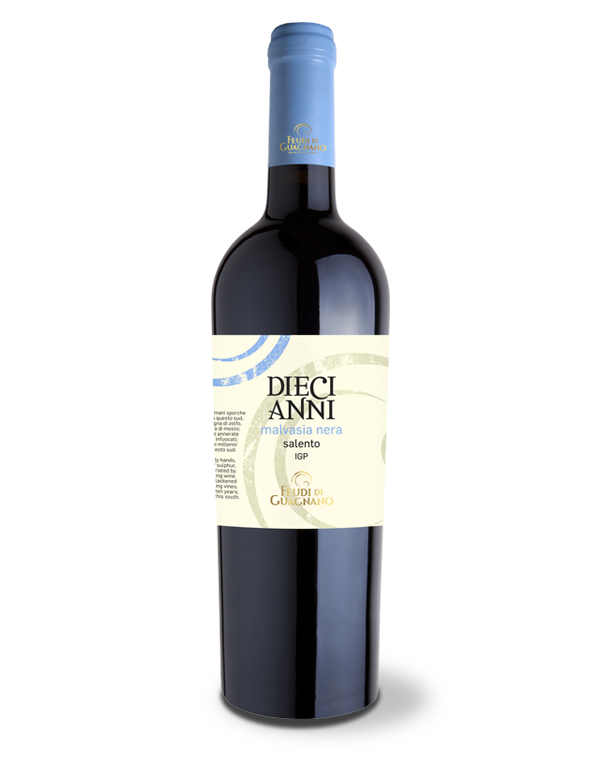 In the mouth it is fresh and releases sensations of cherry and blueberry. Strong body and pleasantly soft. 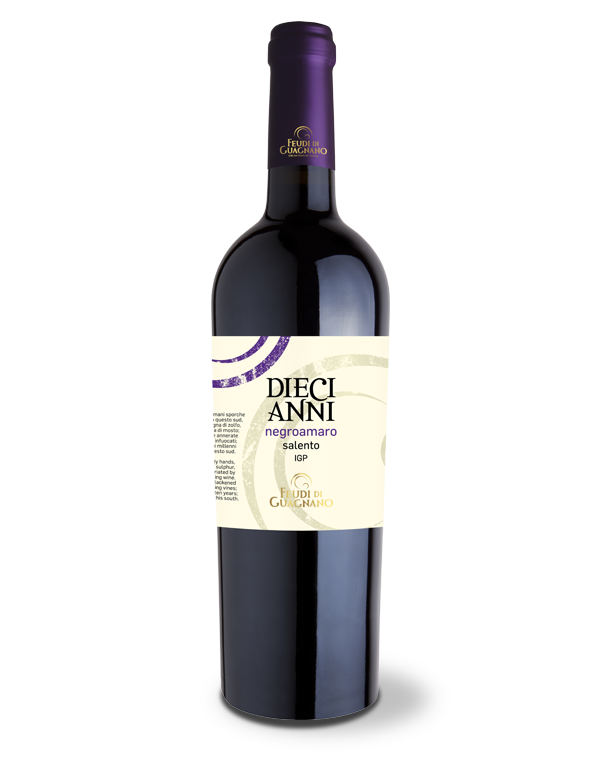 DieciAnni is the name that identifies these particularly valuable labels: to make this last wine, the winery took ten years in experiments and tastings: hence the name of these extraordinary wines. 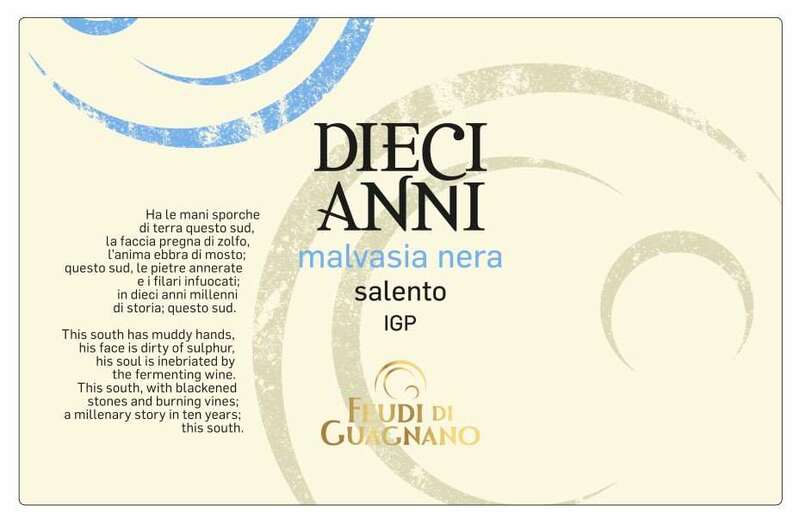 Diecianni is produced in Guagnano. The harvest is done manually in the second decade of September. 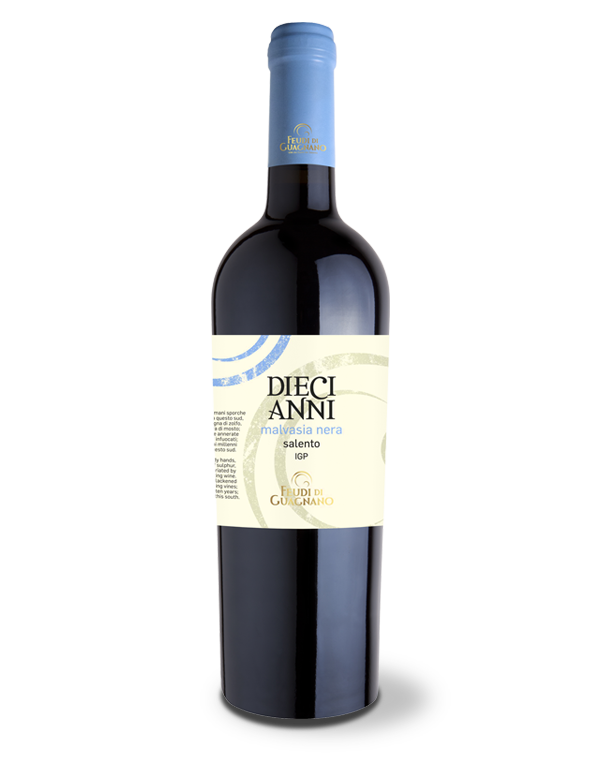 After crushing and destemming the grapes, the mass containing the must macerates for about 10 days at a temperature of 26-28 ° C. A light passage in barrique for about two months gives this product a very complex sensory profile. Ready wine about 3 months after bottling. It keeps its organoleptic characteristics intact for at least two / three years. Open from Mon – Wed: 9:00 – 12:30 a.m. / 04:00 – 07:00 p.m.; Saturday: 9:30 – 12:30 a.m.